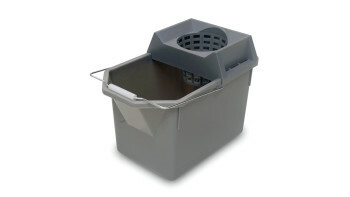 One-piece design: integrated bucket and wringer. 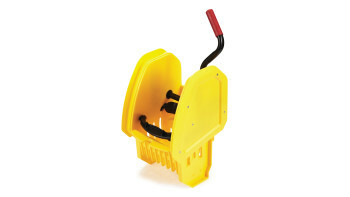 Holes in both wringing plates force more water from mop in less time. 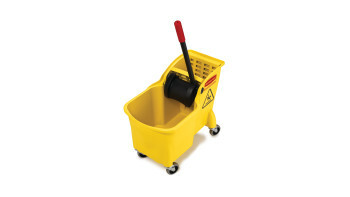 Reverse-wringing mechanism for more comfortable use. 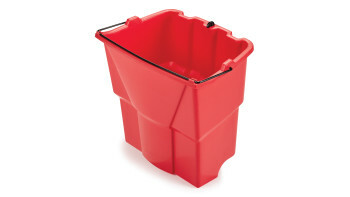 Built-in lift handles on bottom of bucket make lifting and emptying easier. 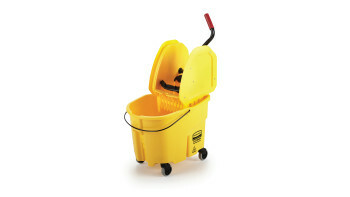 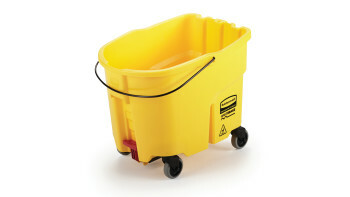 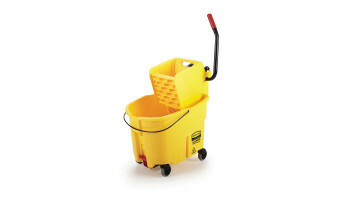 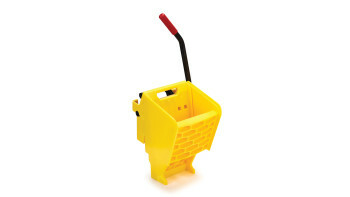 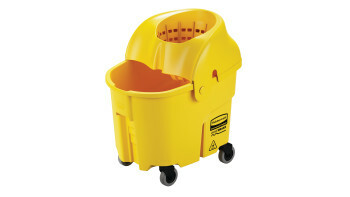 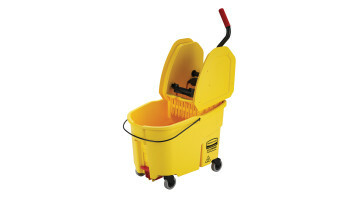 *versus competitive U.S. 35qt single compartment mop bucket and wringer, not including divider bucket and accessories.